# y=0 line, and "yzero" is x=0 line. 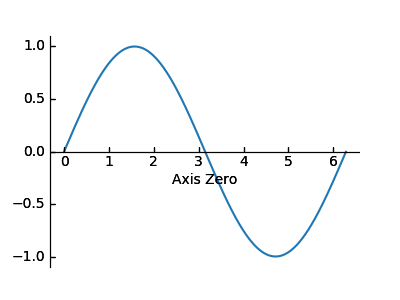 # make xzero axis (horizontal axis line through y=0) visible. # make other axis (bottom, top, right) invisible.